It was an eventful last week for the much-awaited but still unofficial foldable surface phone. On the one hand, where one report said that it is nearing completion, another claimed that it is likely to be shelved. One fan caught between the two reports fought back with a petition urging Microsoft to release the foldable surface phone. The petition titled Show Microsoft the demand for the Surface Phone or Andromede was created by Zachary Hinski on Change.org to assure the company that there is enough demand for the foldable surface phone, and that it won’t be a flop. At the time of writing, the petition had gotten over 10,000 signatures. “I’m doing this petition to see how many people would buy this phone if Microsoft would release it. Money is power and if a lot of people want a Surface phone like the ones in the leaks then they will be forced into action as everyone knows Microsoft wouldn’t be able to give a reason on why not to do it to there investors, as its too much of a money opportunity to miss,” read the petition. Further, in the petition, Hinski says that he would be willing to pay $799-$999 for the phone provided it looks and has features similar to the leaks so far. Under the $1,000 price for a foldable phone might be too ambitious considering the iPhone X (single screen) is priced at $999. Samsung’s Galaxy X, which is believed to be a folding phone, is expected to be priced around $2000. Nevertheless, the petition still is a positive development, showing the love that fans have for a Windows phone and the Surface brand. Even the reasons given by the signatories included love of the Surface brand and Phone nostalgia. 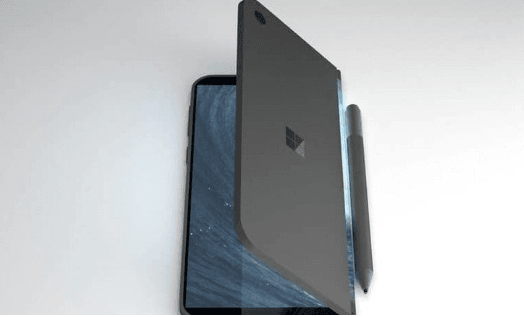 Foldable Surface phone – is it coming? Though Microsoft never formally announced a foldable surface phone, there have been several reports and patents hinting the existence of the handset. Just last week, a report from The Verge (citing a Microsoft internal document) claimed that it would be a pocketable Surface device. Further, the internal document said that such a device would create a “new and disruptive” device category to reduce the gap between the PC and a mobile. “It’s a new pocketable Surface device form factor that brings together innovative new hardware and software experiences to create a truly personal and versatile computing experience,” the document said about the device. Separately, a report from ZDNet last week claimed that Microsoft is still uncertain on the Surface Phone and that the handset is also facing scheduling and quality issues. The report claimed that Microsoft’s top management is still not convinced that there is a market for a small dual-screen mobile device. ZDNet, however, also said that such uncertainties do not mean that the phone has been canceled, and it could still launch in the future, possibly with a different form factor. Andromeda – what to expect? Dual-screen devices are not a new thing, but so far they have been incapable of replacing the smartphone, tablet and laptop. Though the Surface Pro is a good laptop-tablet hybrid, it is not pocketable. However, with the advancement in technology – mainly mobile chipsets – there are good chances of such two-screen pocketable gadgets going mainstream. Microsoft looks well set to leverage such tech, as Windows 10 now does support Qualcomm’s ARM-based chips. Also, since Windows 10 now supports all peripherals and gadgets, a foldable surface phone could easily meet all the expectations that users may have of a PC-smartphone hybrid. According to the rumors, Andromeda will open like a book and support a digital stylus – something similar to Microsoft’s Courier concept. Microsoft is expected to give Windows 10 expanded inking capabilities, so Andromeda could be positioned as a paper notebook or even a replacement for a paper planner. Further, it is believed that the handset could use the upcoming Snapdragon 850 and the powerful Snapdragon 1000 processors, which are being developed for new form factors such as PCs with foldable or dual displays. But, we will have to wait to and see if such a device actually hits the market, because so far nothing has been confirmed by Microsoft, not even its existence. Also, it remains to be seen if the petition gains further traction, and what Microsoft has to say about it.